Ate Zia attended the birthday celebration of her Mamang Choly last sunday. The celebration has a dedicated play area for Mamang Choly’s greatgrand kids. One of the activities they have for the kids are slime making. So what is slime? Slime is a sticky and gooeh substance. slime is a mixture of household items that come together to create a polymer substance. It’s a great way for kids to teach about sciencr principles. It looks like Ate Zia enjoy it alot.knowing how curious and adventurious she is to learn new things. 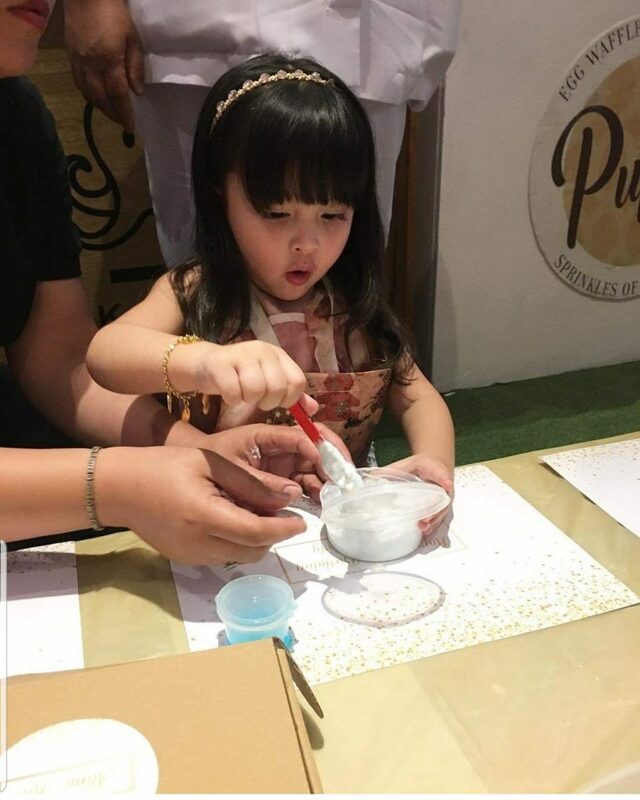 The Party Project posted, “Pretty Zia enjoying the slime making activity during the party.” Zia was seen mixing white slime. She enjoyed it alot. It’s the first time Ate Zia met her 100 year old great grand mother. It was indeed a precious moment.